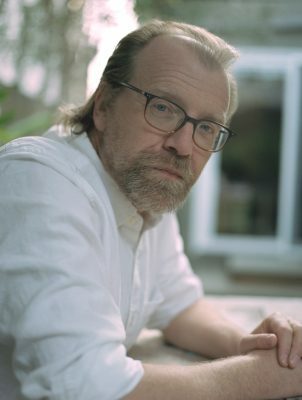 This fall, the University Lectures series welcomes distinguished authors George Saunders (“Lincoln in the Bardo,” “Tenth of December”) and Margaret Atwood (“The Handmaid’s Tale,” “Alias Grace”) and—in collaboration with the Tanner Lecture Series on Ethics, Citizenship, and Public Responsibility—accomplished portrait artist Robert Shetterly (“Americans Who Tell the Truth: Models of Courageous Citizenship”). In addition, as previously announced, the University Lectures welcomes in January—in collaboration with the 34th annual Dr. Martin Luther King Jr. Celebration—comedian/author Trevor Noah. “The Daily Show” host will talk about his acclaimed memoir (“Born a Crime: Stories of a South African Childhood”), reflect on the life and legacy of Dr. King, and discuss the global impact of the civil rights movement. American Sign Language (ASL) interpretation and Communication Access Realtime Translation (CART) are available at each lecture. Media sponsor for the University Lectures is WAER. George Saunders G’88 is author of nine books, including the short-story collection “Tenth of December” (Random House, 2013)—a finalist for the National Book Award and winner of the inaugural Folio Prize (for the best work of fiction in English) and the Story Prize (best short story collection)—and his first full-length novel, “Lincoln in the Bardo” (Random House, 2017), a No. 1 New York Times Bestseller and winner of the Man Booker Prize. A member of the College of Arts and Sciences since 1997, Saunders is a professor of English teaching in the college’s renowned Creative Writing Program. This past spring, he was inducted into the American Academy of Arts and Letters. In 2013, Saunders was named to Time magazine’s TIME 100 list of the 100 most influential people in the world. That same year, he was awarded the PEN/Malamud Award for Excellence in Short Fiction. He has also won four National Magazine Awards (from seven nominations), a PEN/Malamud Award and a World Fantasy Award. He has received fellowships from the MacArthur Foundation, the Lannan Foundation, the American Academy of Arts and Letters, and the Guggenheim Foundation. In May 2013, Saunders delivered a memorable convocation address to College of Arts and Sciences graduates. The New York Times posted the transcript on its website a couple months later, and the speech quickly went viral—within days, it was viewed more than one million times. It inspired an animated short voiced by Saunders. And the following spring, his moving essay on kindness was published in book form—“Congratulations, by the way: Some Thoughts on Kindness” (Random House, 2014)—and became a bestseller. 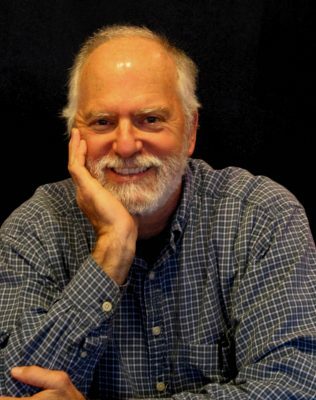 In addition to “Tenth of December,” Saunders has written several popular short-story collections, including “Pastoralia” (Penguin, 2000) and “CivilWarLand in Bad Decline” (Random House, 1996), which were New York Times Notable Books. Another collection, “In Persuasion Nation” (Penguin, 2006), was a finalist for the 2006 Story Prize. Saunders’ appearance is co-sponsored by SU’s Office of Alumni Engagement as part of Orange Central 2018. Canadian author Margaret Atwood is the definition of a literary titan, with more than 40 novels, non-fiction works, short story collections, children’s books, books of poetry and one graphic novel to her credit over her more than 50-year career. Her work has been published in more than 40 languages. Arguably her most famous book, “The Handmaid’s Tale” (McClelland & Stewart, Houghton Mifflin, 1985), was transformed into a critically acclaimed television series on Hulu. The first season won eight Primetime Emmy Awards, including Outstanding Drama Series. The recently completed second season has earned 20 Emmy nominations. Along with the deep dystopian novel, television is treating new generations to other of Atwood’s notable works. An adaption of her murder mystery “Alias Grace” (McClelland & Stewart, Bloomsbury, Doubleday, 1996) is now streaming on Netflix. Her children’s book “Wandering Wenda and Widow Wallop’s Wunderground Washery” (McArthur & Co., 2011) was produced as an animated children’s series. MGM is producing a series from her novel “The Heart Goes Last” (McClelland & Stewart, Bloomsbury, Nan A. Talese/Doubleday, 2015). And Paramount is adapting the three books in her MaddAddam series (McClelland & Stewart, Bloomsbury, Doubleday)—“Oryx and Crake” (2003), “The Year of the Flood” (2009) and “MaddAddam” (2013)—into a television series. In 2016, Atwood entered the world of graphic novels with “Angel Catbird” (Dark Horse), the story of a young genetic engineer who accidentally mutates into a cat-owl hybrid, which debuted at No. 1 on The New York Times Bestseller List. She has since written volumes two and three. Her list of honors exceeds 125 recognitions, starting in the early 1960s and including the Man Booker Prize, the Arthur C. Clarke Award for Best Science Fiction, the Franz Kafka International Literary Prize, the Harvard Arts Medal, the Raymond Chandler Award, the Carl Sandburg Literary Award and a Guggenheim Fellowship. She has received 26 honorary degrees. 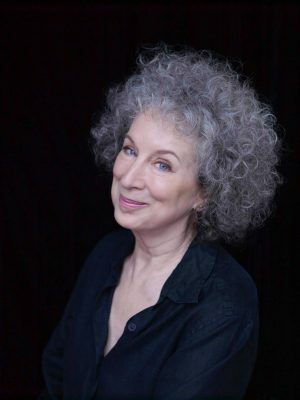 Atwood’s University Lectures presentation is also part of the Syracuse University Humanities Center’s Syracuse Symposium programming, which is focusing this year on the meaning and impact of “STORIES” from diverse perspectives. Her appearance is co-sponsored by the College of Arts and Sciences and the Humanities Center, and is part of Family Weekend 2018. The University will transport the paintings to Syracuse from Shetterly’s Maine home in late fall, and the Panasci Lounge will be transformed into a gallery setting, while continuing as a student study space, to host the public exhibition Nov. 26-30. All of Shetterly’s living portrait subjects have been invited to visit Syracuse University to see the display and enjoy a gallery reception and the accompanying Nov. 29 University Lectures event in which the artist will take part in an on-stage conversation with two of his subjects—Richard Bowen and Dr. Mona Hanna-Attisha. Hanna-Attisha, a pediatrician and public health advocate in Flint, Michigan, sounded the alarm about the high presence of lead in the city’s drinking water; her book on the Flint Water Crisis, “What the Eyes Don’t See: A Story of Crisis, Resistance, and Hope in an American City” (Random House), was published this past June. Major support for Shetterly’s appearance and the exhibition of his portrait series is provided by the Maxwell School’s Tanner Lecture Series on Ethics, Citizenship, and Public Responsibility. The Office of Alumni Engagement (OAE) provides Syracuse University’s 241,000 alumni with a variety of ways to stay connected to their alma mater and their fellow alumni. Engagement opportunities include, but are not limited to, academic-based programs, regional celebrations, social activities via alumni clubs and affinity groups, service projects, career support/professional development, reunion and homecoming celebrations, digital engagement and communications, legacy programs, and giving initiatives. OAE seeks to build an integrated, inclusive and premier alumni engagement program, which results in an increase in participation and lasting, genuine relationships with SU alumni. A hub of vibrant scholarship and public programming, the Syracuse University Humanities Center—whose home is in the College of Arts and Sciences—cultivates humanities research; sponsors dynamic programming; and highlights the humanities as a public good. In addition to offering numerous fellowships and other initiatives, the Humanities Center is home to Syracuse Symposium, an annual public events series that engages wider publics with innovative, interdisciplinary work in the humanities by renowned scholars, artists, authors, and performers. This year, Syracuse Symposium takes up the meaning of “STORIES” from diverse perspectives and across genres, locally and globally. Syracuse University’s celebration of Dr. Martin Luther King Jr. is the largest event of its kind on a college campus. The 34th annual event will take place on Sunday, Jan. 27, in the Carrier Dome. The event got its start before Congress acted to recognize Dr. King with a federal holiday honoring his memory and accomplishments. Syracuse University’s celebration includes student and community entertainment, dinner and presentation of the Unsung Hero Awards, which recognize local community members who have championed the plight of those in need.